"When people don't see stuff on Google, they think no one can find it. That's not true." That's according to John Matherly, creator of Shodan, the scariest search engine on the Internet. It's stunning what can be found with a simple search on Shodan. Countless traffic lights, security cameras, home automation devices and heating systems are connected to the Internet and easy to spot. What's really noteworthy about Shodan's ability to find all of this -- and what makes Shodan so scary -- is that very few of those devices have any kind of security built into them. "It's a massive security failure," said HD Moore, chief security officer of Rapid 7, who operates a private version of a Shodan-like database for his own research purposes. A quick search for "default password" reveals countless printers, servers and system control devices that use "admin" as their user name and "1234" as their password. Many more connected systems require no credentials at all -- all you need is a Web browser to connect to them. In a talk given at last year's Defcon cybersecurity conference, independent security penetration tester Dan Tentler demonstrated how he used Shodan to find control systems for evaporative coolers, pressurized water heaters, and garage doors. He found a car wash that could be turned on and off and a hockey rink in Denmark that could be defrosted with a click of a button. A city's entire traffic control system was connected to the Internet and could be put into "test mode" with a single command entry. And he also found a control system for a hydroelectric plant in France with two turbines generating 3 megawatts each. Scary stuff, if it got into the wrong hands. "You could really do some serious damage with this," Tentler said, in an understatement. So why are all these devices connected with few safeguards? Some things that are designed to be connected to the Internet, such as door locks that can be controlled with your iPhone, are generally believed to be hard to find. Security is an afterthought. Related story: If you're using 'Password1,' change it. Now. A bigger issue is that many of these devices shouldn't even be online at all. Companies will often buy systems that can enable them to control, say, a heating system with a computer. How do they connect the computer to the heating system? Rather than connect them directly, many IT departments just plug them both into a Web server, inadvertently sharing them with the rest of the world. "Of course there's no security on these things," said Matherly, "They don't belong on the Internet in the first place." The good news is that Shodan is almost exclusively used for good. Matherly, who completed Shodan more than three years ago as a pet project, has limited searches to just 10 results without an account, and 50 with an account. If you want to see everything Shodan has to offer, Matherly requires more information about what you're hoping to achieve -- and a payment. Penetration testers, security professionals, academic researchers and law enforcement agencies are the primary users of Shodan. Bad actors may use it as a starting point, Matherly admits. But he added that cybercriminals typically have access to botnets -- large collections of infected computers -- that are able to achieve the same task without detection. To date, most cyberattacks have focused on stealing money and intellectual property. Bad guys haven't yet tried to do harm by blowing up a building or killing the traffic lights in a city. 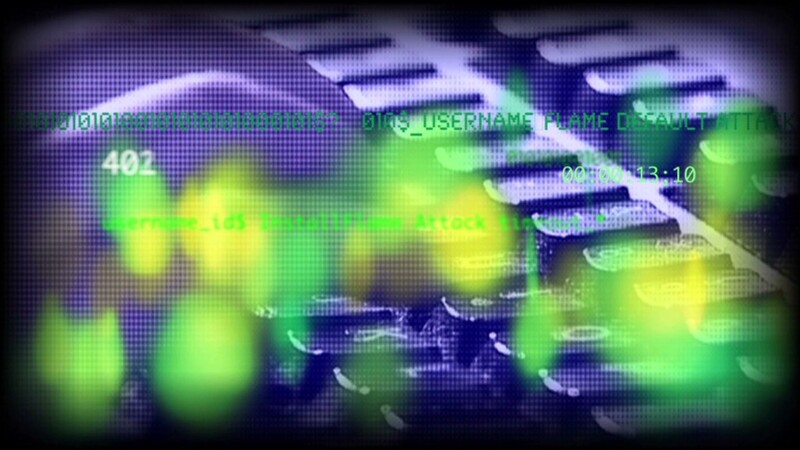 Security professionals are hoping to avoid that scenario by spotting these unsecured, connected devices and services using Shodan, and alerting those operating them that they're vulnerable. In the meantime, there are too many terrifying things connected to the Internet with no security to speak of just waiting to be attacked.